Thank you for the honor of serving as your Tax Assessor-Collector. Our office is committed to providing the best customer service possible for ALL our Citizens. Our office is responsible for over 1.5 million vehicle registrations per year and for collecting nearly $3 billion in taxes in a fair and equitable manner. 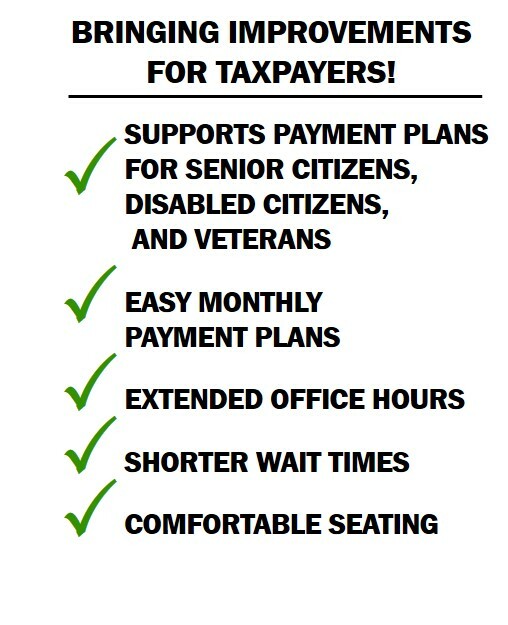 We have developed new payment options to help Keep Families In Their Homes, with an emphasis on helping our Senior Citizens, our Disabled, our Veterans, and ultimately our Children. We are also dedicated to serving our Business Community in a helpful and professional manner.